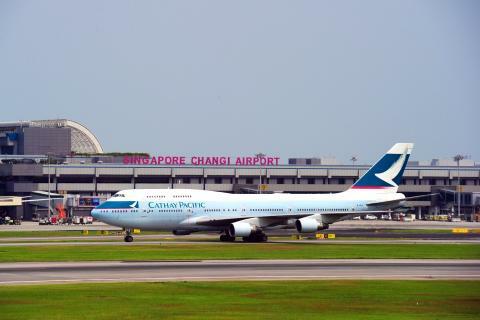 SINGAPORE, 30 April 2014 – Changi Airport Group (CAG) and Cathay Pacific Airways announced today that Cathay Pacific will operate at Changi Airport’s newest terminal – Terminal 4 (T4) – when it opens in 2017. Cathay Pacific is the first airline to confirm its move to T4. An enhanced travel experience encompassing self-service initiatives (in addition to check-in counters), exciting and attractive retail and F&B offerings, as well as an expanded dedicated lounge for its premium passengers are among the key highlights at T4 that Cathay Pacific’s passengers can look forward to. Passengers of Hong Kong’s flag carrier will also – for the first time at Changi Airport – enjoy fast and seamless travel initiatives that will be rolled out terminal-wide. A full and integrated suite of self-service options will be offered at key passenger touch points such as check-in, bag drop, immigration and boarding in T4. Departing passengers will enjoy faster processing via the automated channels, as well as greater autonomy of their time spent at the airport as their journey at T4 will no longer be limited by the operating hours of manual check-in counters. Cathay Pacific’s passengers can also look forward to a new and exclusive premium lounge on the second mezzanine level of the new terminal. At more than 800 sqm, it is larger than the full-service carrier’s current lounge at Terminal 1, with views into the apron and runway, offering passengers in the lounge sightings of aircraft take-offs and landings. Cathay Pacific is one of Changi Airport’s first airline partners, having operated at Terminal 1 since the airport opened in 1981. Its presence at Changi has grown over the years. Today, Cathay Pacific is among the top 10 largest airlines at Changi Airport in terms of passenger volume, with nine daily services to Hong Kong including one via Bangkok, and four weekly services to Colombo, Sri Lanka’s capital. With more than 130 weekly flights to and from Changi Airport, relocating to the new terminal will also provide Cathay Pacific with good room for future growth. T4 is designed to handle 16 million passenger movements per annum, and will be able to support quick aircraft turnaround operations for both full-service and low-cost carriers. T4 will feature a total of 21 contact stands – 17 for narrow-body aircraft and four for wide-body aircraft, the latter of which can be converted to accommodate eight narrow-body aircraft if the need arises. These stands will come with aerobridges, providing passengers with greater convenience and accessibility. Mr Wilson Yam, General Manager, Southeast Asia, Cathay Pacific Airways, said, “As a keen adopter of technology aimed at improving passenger experience, self check-in options have always been offered by Cathay Pacific at all our stations. 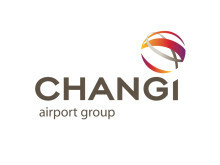 Changi Airport is one of Cathay Pacific’s largest bases outside Hong Kong so we are very excited at this opportunity to offer a transformational on-ground product for our valued passengers. At T4, passengers can choose to arrive earlier to enjoy the commercial offerings and facilities in the Transit Area at their comfort and convenience. Several of these functions, such as self-check-in and self-gate boarding, are currently being trialled atChangi’s existing terminals, to ensure that implementation at T4 will be a smooth process. Cathay Pacific Airways is a Hong Kong-based airline offering scheduled passenger and cargo services to more than 180 destinations in Asia, North America, Australia, Europe and Africa, using a fleet of 140 wide-body aircraft. The airline offers exceptional service and world-beating products on the ground and in the air - including its multiple-award-winning long-haul Business Class. Cathay Pacific has made substantial investments to develop Hong Kong as one of the world's leading global transportation hubs.